Allnumis is a collaborative catalog for coins, banknotes, community currencies, postal orders, bullion, tokens, medals, postcards, phone cards, stamps and pins. They provide free of charge tools so you can manage your personal collection, trade/swap list and wish list. Metal detecting auction sites which sometimes offers artifacts and coins for sale. Coinhunter can help you find the Royal Mint coins you are looking for as well as being home to a directory of UK Dealerships. 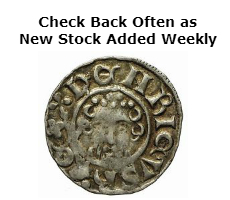 This site is for everyone keen on hammered coins (especially English hammered coins). The site was originally designed for the amateur who is keen to find out more about the hobby but is now a useful resource for all collectors. A compact and comprehensive guide to spotting fake silver coins. An excellent source of reference for attribution of Ancient Greek, Roman and Byzantine coins.